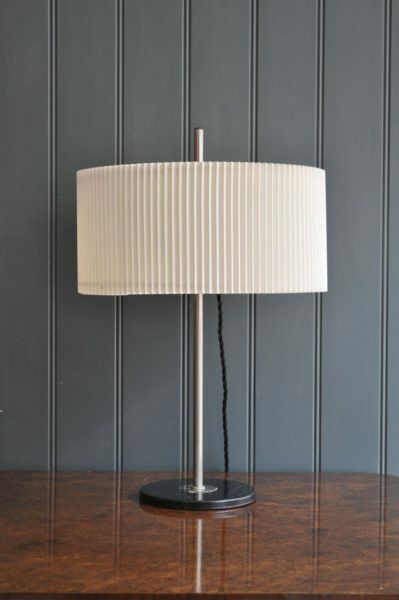 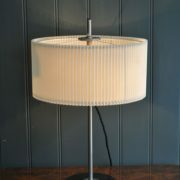 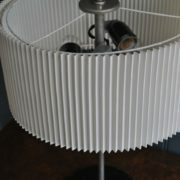 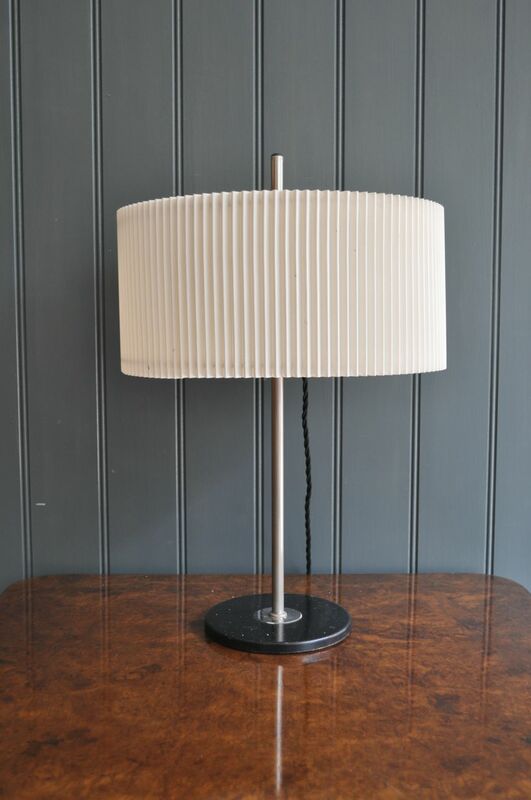 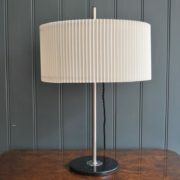 Dutch table lamp with original white pleated shade. 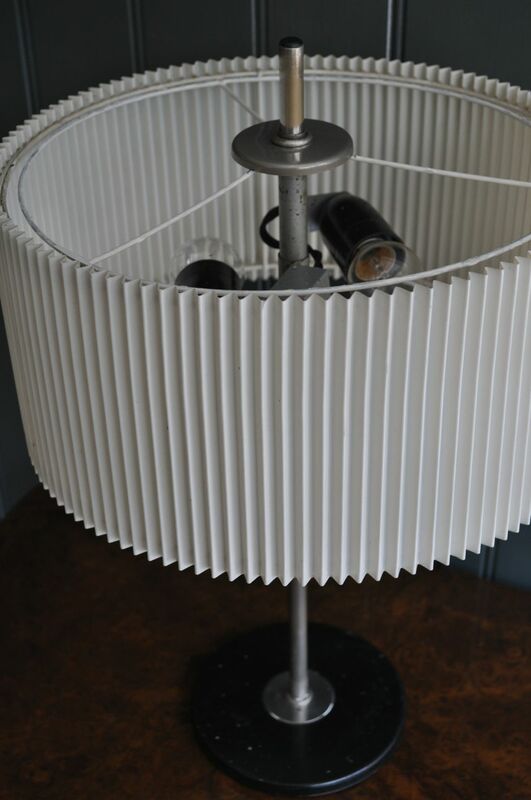 Newly rewired with black braided flex, an in-line switch and black plug, and accepts two ES bulbs. 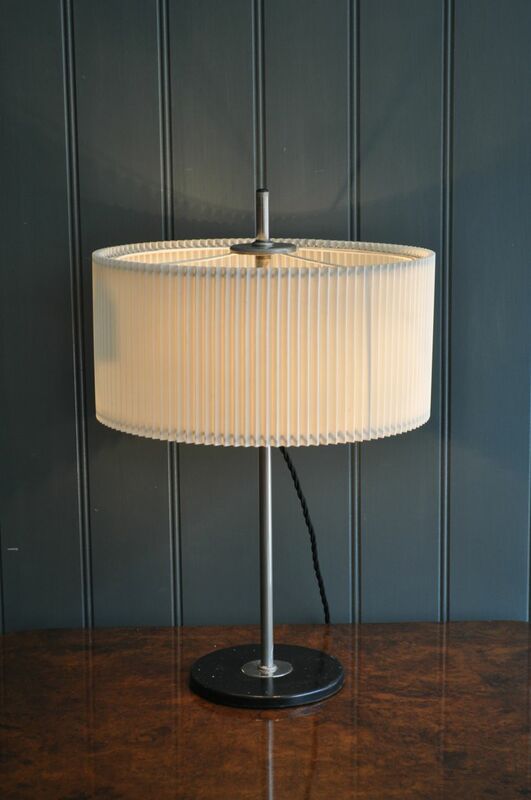 Nice original condition, with just light wear in keeping with age.